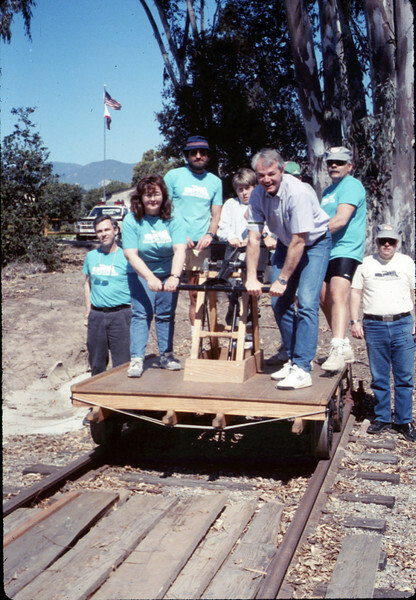 INSTRUCTIONS: This Gallery contains photos showing the handcar ride at the South Coast Railroad Museum. To see all of the photos in this Gallery, click on the image to the left. Next, when you see all three of the Galley images, click on the photo that you like best. When you see a large version of your selection, click on the "Add Comments" button in the lower left corner of the page. Use the Comments box to tell us why you like this photo the most. If you like, please also include your name and contact information (email address and/or phone number). Parental approval is required if you are under 18 years of age. Thank you!